Emoji, wu-huu! Tonton kisah lucu terbaru, yang diceritakan menggunakan emoji, mengenai karakter-karakter terfavorit dari Duckburg yaitu: Huey, Dewey, Louie, Webby, dan Uncle Scrooge! with the mobile release of DuckTales: Remastered! Scrooge - Tougher than the toughies, smarter than the smarties, Scrooge mad his money fair and square. Part mysterious billionaire, part adventurer, his wealth combined with his overwhelming confidence has bred an unpredictable nature and a belief that anything can happen & everything is possible if you're willing to work for it. His love of money isn't because he'greedy, it's because he knows how he earned each dollar; each coin is a memento of a past adventure. Huey - the oldest of the three nephews (by three seconds), he is often called upon to be "The Brains." He LOVES being a triplet, is the consummate Junior Woodchuck, and often find himself scrambling to find logical solutions to the completely illogical. Ever the explorer, Huey is always eager to test his mettle and may one day earn his Adventurer's Merit Badge. Dewey - The second brother hatched and dealing with the classic middle-child syndrome, Dewy is always looking for ways to stand out from the crowd. Dubbed "The Guts", Dewey is quick to throw himself into dangerous situations without thinking, just to prove himself. Deep down he's worried that he's just an ordinary duck so he's constantly itching to make a name for himself. Webby - the heart (and the fists) of the team. WEbby has spent most of life isolated in Scrooge's mansion obsessing over his past exploits and training for action with her granny. Now that she's out in the world, WEbby's itching for every adventure the world (and being a normal kid) has to offer.! Donald - Donald is a well-meaning, short-fused single parent raising his sister's children as his own. Unlike Scrooge who thrives on adventure, Donald avoids it at all costs. He could actually be an ace adventurer if he'd ever cut loose; he's strong-willed, determined and insanely devoted to his family. Mrs. Beakley - Webby's grandmother and Scrooge's no-nonsense housekeeper, bodyguard, and closest confidant. Beakley has a mysterious past and a particular set of skills that goes beyond vacuuming and doing windows. She's trained in every martial art and action tactic. Although she often call Scrooge out, she's the only person he really trusts. Glomgold- The world's second richest duck who has dedicated his entire life to besting that other Scottish billionaire duck. His obsession with beating Scrooge paired with his willingness to fight dirty, lie, cheat, steal and spend every last nickel of his fortune to do it make him a truly fierce adversary. Launchpad - Scrooge's big-hearted, fearless, and dim chauffer & personal pilot. Launchpad is trusting to a fault and always up for anything, which suits Scrooge's purposes just fine as he's the only pilot crazy enough to actually do what Scrooge wants him to do. SOME OF THESE GAMES WILL JUST QUACK YOU UP! Now, it’s time to return to this childhood classic and find out just which one of these dastardly baddies you’re most like. ARE YOU HUEY, DEWEY, OR LOUIE? 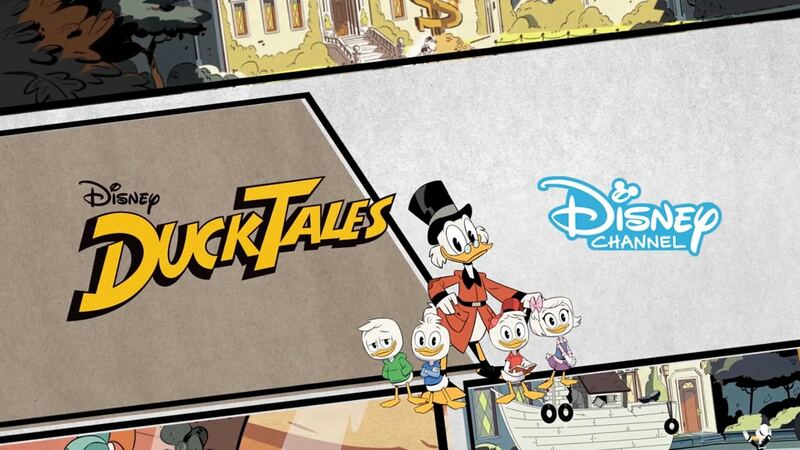 Find out which brother from Disney XD’s DuckTales you are!